THIS IS SUCH EXCITING NEWS – TO BE ABLE TO EXPLORE THE AMAZING GALAPAGOS ISLANDS WHILE STAYING ON AN EXQUISITE SILVERSEA VESSEL AND ENJOY ALL THE LUXURY AND PAMPERING THAT SILVERSEA CAN OFFER YOU IS THE VERY BEST OF BOTH WONDERFUL WORLDS!! CALL US FOR MORE DETAILS AS THESE VOYAGES WILL SELL OUT VERY FAST. The 100-guest Silver Galapagos. With sleek lines and a proven skill for navigating the waterways throughout the Galápagos Islands, she is naturally suited for in-depth explorations of this spectacular region. She offers all the intimate conviviality and elegant sophistication that has made Silversea the preferred choice for today’s discerning travellers. * The Silver Galapagos Air Package from Quito to Baltra and return to Guayaquil, park entrance fees and immigration fees are additional costs and not reflected in the fares shown above. 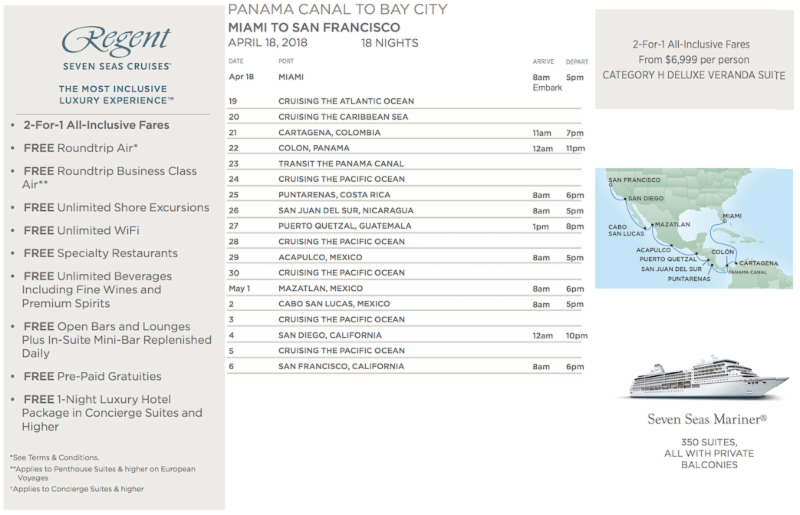 Please contact Silversea Reservations for pricing. Having earned his Doctorate from Oxford’s Wildlife Conservation Research Unit, Dr. Stewart has won the national Prince Philip Zoology prize. He has written and photographed for wildlife magazines around the world, including his book “Galapagos — Islands That Changed the World.” He is also a multiple Primetime Emmy and BAFTA award-winning cameraman and producer across 40 countries. RICHARD WOLLOCOMBE, Renowned Wildlife Cameraman, Naturalist and Galapagos Resident Mr. Wollocombe is an Emmy and RTS award-winning cameraman with 15 years experience filming on land and underwater. His natural history filmmaking credentials include extensive work for Discovery in the South Pacific, as well as his award-winning Galapagos, voted best film at the Jackson Hole Film Festival. As a resident of the Galapagos, Mr. Wollocombe knows first hand the natural riches the islands possess. BOOK A LUXURY EXPEDITION TODAY! vineyards which make a great stop on your way from the  Santiago  airport. vineyards which produce Chile's national drink, Pisco. Arica, Chile is in the amazing Atacama desert which stretches 600 miles along the coast of Peru and Chile. Awesome landscapes with no sign of animal or plant life stretch on forever. This is the driest place on earth. The mountains and the undulating colors are simply breathtaking. their time as nuns - along with their personal servants! This ia a beautiful colonial town well worth a stopover. passengers on each side of the plane got a good view. A once-in-a-lifetime experience! Ship offers a complimentary shuttle to the JW Marriott in Miraflores - great location 45 minutes from port. Traffic in Lima is horrendous. Voyager Club excursion in colonial Lima with lunch Huaca Pucllana in Miraflores. Nearby Trujillo is a lovely colonial city and the ship offers a complimentary shuttle ino town. site represents the largest clay city in pre-Hispanic America. The large, calm harbor at Manta, Ecuador  is filled with fishing vessels of every size from the one-man skiffs to giant cargo-ship sized tuna processing ships equipped with helicopters. This, after all, is the tuna capital of the world. Your can of Sunkist probably originated right here. A 30-minute ride on a "chivas bus" complete with a brass band on top, takes us to nearby Montecristi, the epicenter for making Panama hats. The ride was loads of fun with people waving and dogs chasing us along the whole route! Long, Pleasant, sandy  beaches emanate from both sides of the port but the town of Manta itself is unremarkable. Awoke at dawn to see all the ships great and small lined up in the Pacific awaiting their turn to enter the locks at Miraflores. Amazing to see the system of tying up to the "mules" actually highly powerful engines which tow the ship through the locks. Our ship had two at the front and two at the back following alongside on the tracks. On through the cut and into huge Lake Gatun. Three more locks and we are back at sea level on our way to the Atlantic. All along the way we see evidence of the huge expansion that is underway. pineapple....Chiquita and Dole containers piled up for miles! polo, lectures on the ports of call and South American history, culture, flora and fauna as well as resting up from all our excursions. tender in Ecuador and Panama). cloudy Lima was sunny) and not a drop of rain for 3 weeks! South America is definitely the place to be in February! South America is a dream destination for many and a perfect place for a wine tour in March, the best time to enjoy the southern harvest. Why not join our friends at Iberian Wine Tours in 2013 and make your friends jealous? Enjoy many fine wines and bodegas, 4 and 5 star hotels in the heart of the wine country and lots of fine meals too. Ever wondered what (Andean) Napa was like 20 or 30 years ago? Call us for information on how to join the tour. Here is an exciting and different way to experience this amazing destination! A 135 Acre Farm in the interior of Santa Cruz Island adjacent to National Park with Nine Ensuite Luxury Tents with Terrace perched on a Ridge, Sweeping Vistas, Infinity Pool, Open-plan Central Lodge, Hands-on Service. The Best of the Best at Spring Savings - this week only! Don’t miss out on these amazing offers for outstanding travel opportunities!! This week only….. How many of these places are on YOUR Bucket List? When you travel with A&K, you experience the best of the best. April 16 marks the beginning of A&K’s Spring Savings event, where you can save up to 50% on independent journeys to 13 of our most popular destinations. Join us beginning today at 8 a.m. CDT to choose your summer journey. SpringSavings continues until Friday, April 20 at 5 p.m. or while journeys last, so don’t wait to book your departure to one of these inspiring places. Prices are per person, double occupancy and are subject to availability. International air not included. Bookings are non-refundable and savings may not be combined with other discounts and promotions. Other restrictions may apply.